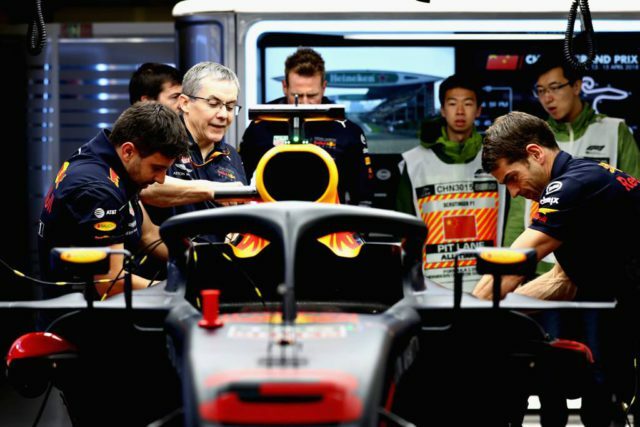 Daniel Ricciardo sealed a thrilling Chinese Grand Prix with a stunning series of late overtaking moves but the secret to his success lay in a rapid engine change by his Red Bull Racing crew. The team somehow managed to turn around a three-hour engine change in the space of alteration ahead of qualifying in Shanghai on Saturday, giving the Australian the platform to his success 24 hours later. The engine needed to be changed after the third free practice session, meaning they had to dismantle the car, change the engine and put it all back together again in just two hours. So, the whole rear end of the car had to be taken apart, including the rear wing, rear suspension and gearbox assembly before the suspect engine could even be looked at. Qualified 6th but the real result was the fellas once again pulling off a record engine change. Legends ?? 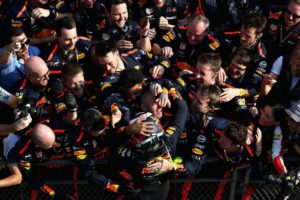 Ricciardo made it out with seconds to spare – no more than 30 according to Rennie – enough to give him a fast lap and sixth place on the grid for the unlikeliest of wins bearing in mind the engineering feat that went into it.